Brief Description: The successor to the 3rd Generation of the ESHOPPS PSK-Series, the MID-LEVEL LINE of AXIUM Skimmers continues to redefine simplicity. Switching to an internal pump design allows for a smaller footprint. The new AXIUM Skimmers are equipped with new features such as the new water level adjustable baffle, silencer, quick release pump lock, and a complete redesign of the skimmer body. Guaranteed to grab the attention of many hobbyists is its eye-catching new royal-like purple colour scheme. 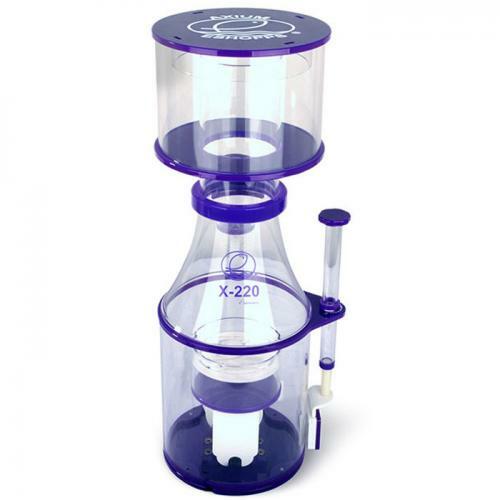 Notify me when "Eshopps X-220 Axium Skimmer [200-325 gal]" is re-stocked.